Windows VIsta SP1 delayed til 2009? Microsoft has apparently been telling executives at a top PC firm not to expect the first service pack for Windows Vista - SP1 - until 2009 at the earliest. This throws the launch of the next version of Windows (codenamed 7, formerly Vienna) into doubt, possibly pushing it back as far as 2010 - something that Microsoft has hinted at anyway. All of this, Valleywag explains , is why Microsoft has been so keen to play down an early launch for SP1, which was originally supposed to have surfaced last week . "The entire industry is disappointed by Windows Vista... And that's not going to change in the second half of this year." 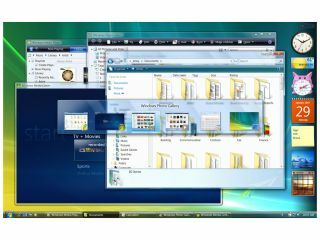 Microsoft plans to launch a beta version of Windows Vista SP1 later this year.